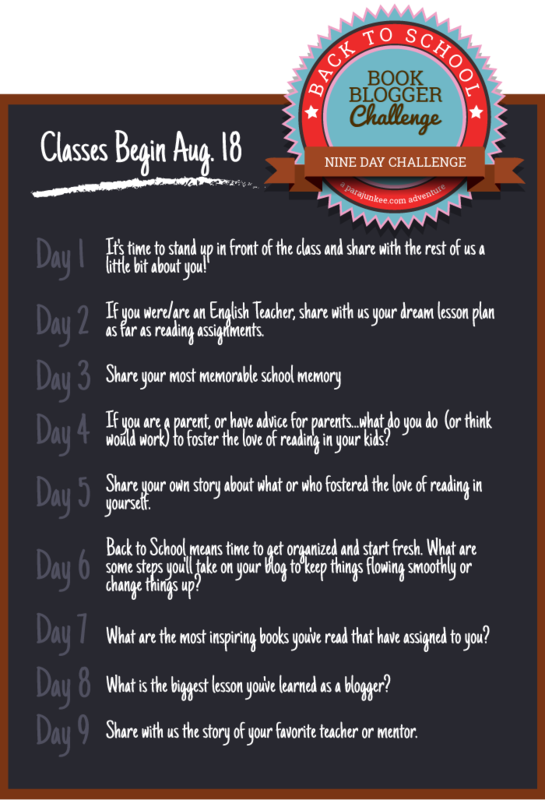 Day 8: What is the biggest lesson you've learned as a blogger? I don't know if I can narrow this down so I came up with a list. Suffice it to say, I have learned so MUCH as a book blogger. -Blogging is a lot of work. A LOT. -The publishing industry is a lot more intricate that I imagined. -There are crazy and insecure people out there in the world. -There are wonderful, amazing, kind, funny and generous people out there in the world. Short and sweet! I like it :).